Recently, at the invitation of Haier, Baima engineers went to Qingdao to exchange Haier Industrial IoT platform construction and edge gateway customization. 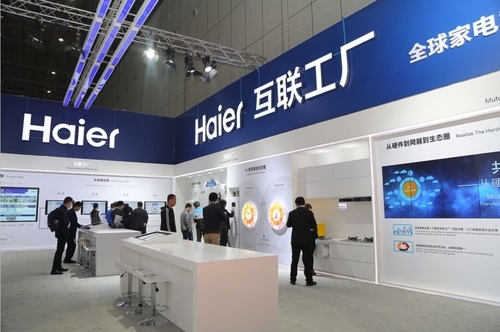 In the current era of exploring the high-end manufacturing of "Made in China 2025", Haier is based on the transparent factory and is at the forefront of intelligent manufacturing. 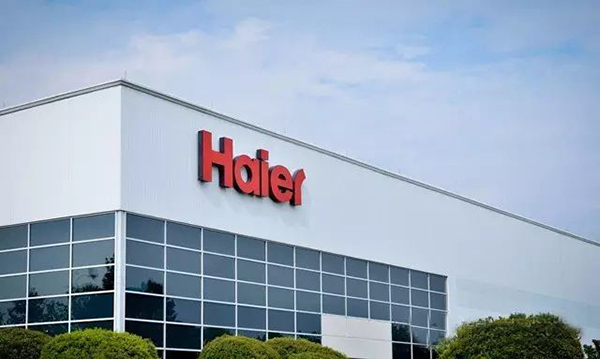 Haier's transparent factory is based on: rapid response and meeting the individual needs of global users, truly visualizing the entire process of customization, allowing users to transform from product users to “product designers and production supervisors”. 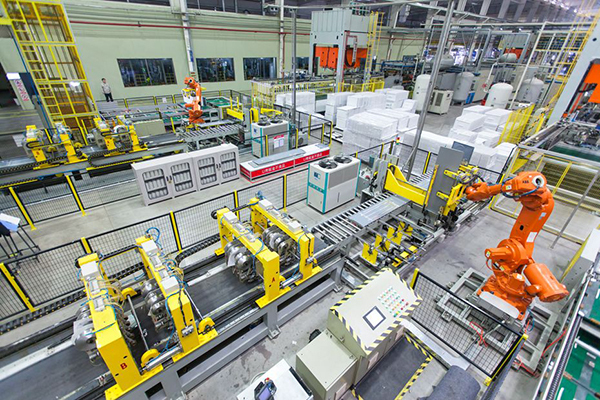 The application of the Internet of Things technology realizes intelligent upgrade of equipment to realize the interaction between the robot and the production line. Users can interact directly with the factory and the user can visualize the entire process during the customization process. Compared with the Internet era, the Internet of Things communication protocol is more diverse, the fragmentation of things is very serious, and the importance of the gateway is highlighted. The IoT gateway can realize the protocol conversion between the sensing network and the communication network and different types of sensing networks; it can realize wide area interconnection and local area interconnection. 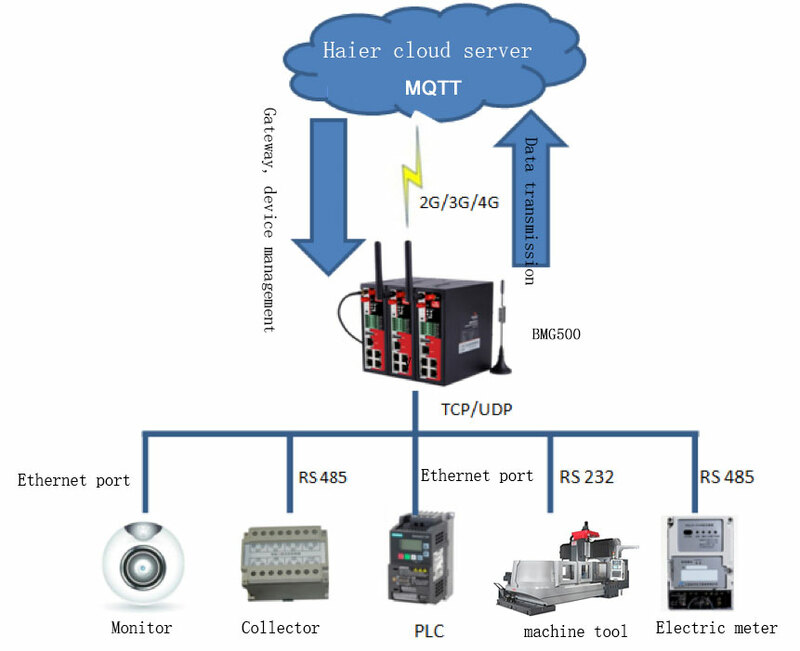 According to the requirements of the partner project, we recommend the Industrial IoT Gateway BMG500, and use this as a prototype to customize the gateway that meets Haier's application requirements. 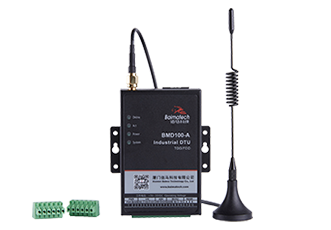 The product integrates functions such as intelligent data collection, multiple protocol conversion, full Netcom/4G wireless communication, data processing and forwarding, VPN virtual private network, and local storage. Build a common, intelligent IoT channel between monitoring equipment and IT systems. 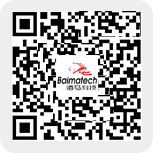 Assist customers in intelligent acquisition of various devices such as PLC\DCS, protocol conversion, wireless communication, etc. -- Industrial IoT Gateway is based on Linux, integrating Python development environment and C language development environment. -- Industrial IoT Gateway supports MQTT, Modbus-RTU, Modbus-TCP, TCP, UDP, HTTP and other protocols. -- Industrial IoT Gateway comes standard with 4 LAN ports, 1 WAN port, 1 USB port; 2 sets of DI digital input, 2 sets of relay outputs. 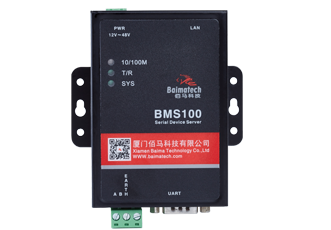 It supports RS485 and RS232 data transmission in the form of terminals, which is suitable for the networking of various types of port devices on site. 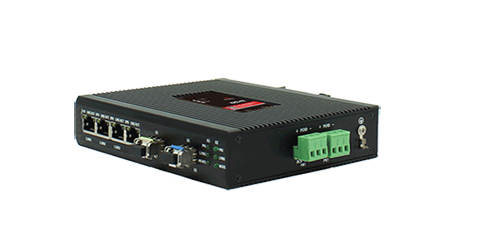 -- Industrial IoT Gateway has multiple VPN encryptions such as IPsec VPN, L2TP, PPTP, and open VPN. 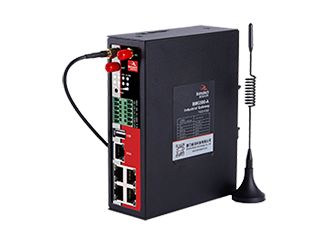 -- Industrial IoT Gateway supports full coverage of the network, including wireless access such as full Netcom/4G/3G/2.5G/WIFI. 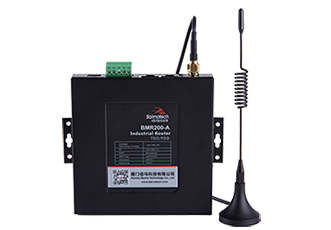 -- Industrial IoT Gateway supports GPS positioning, base station positioning, etc.